I think it’s safe to assume we have a new and very strong contender for the title of greatest Christmas themed horror movie ever made. 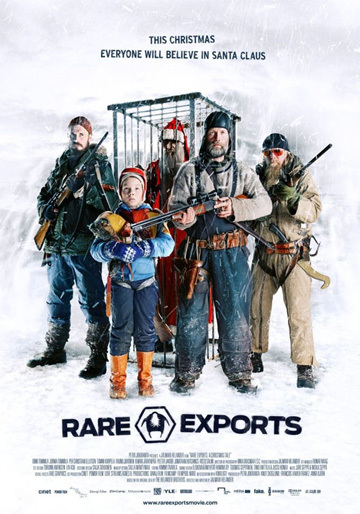 Although it has to be said that the Finnish treat ‘Rare Exports’ is not exactly your average conventional holiday slasher like, say, ‘Black Christmas’ (1977) or ‘Silent Night, Deadly Night’ (1984). Nope, instead this is a hugely original and imaginative mixture between dark fantasy and pitch-black comedy, spiced with some horror elements. 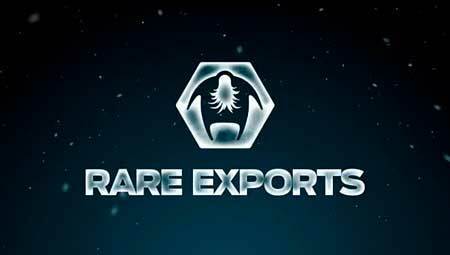 ‘Rare Exports’ entirely takes place in what is traditionally speaking the only true home of Father Christmas: far north in Korvatunturi, in the Finnish province of Lapland. Under normal circumstances, the lives of the local population of robust Sami men (apparently women don’t breed there) entirely relies on hunting and rounding up reindeer, especially now in the days before Christmas. This year, however, all animals in the area are found massacred and this might just have something to do with the American “scientists” digging and drilling on top of a nearby fell. The film masterfully opens with young protagonist Pietari and his friend cutting a hole in the fence to sneak out and spy on the Yanks. The opening is very reminiscent to the opening sequences in ‘The Thing’ and undoubtedly writer/director Jalmari Helander did this intentionally as a homage. Like the title and poster image states clear, the expedition is looking for the real Santa Clause. Unfortunately, it isn’t a jolly fat bloke who emerges with a big “Ho Ho Ho”, but an uncanny and malicious creep. Pietari is the only one who keeps his cool, even when the rest of the children in town mysteriously vanish, and has the utmost of trouble convincing his dad of what ancient evil they’re facing. 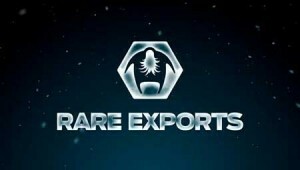 Although you might expect so, ‘Rare Exports’ isn’t at all a spectacular or adrenalin-rushing adventure. Quite the contrary, the plot unfolds very slowly with one indication at the time and especially the action sequences & bloodshed are kept to a strict minimum. This might discourage quite a few die-hard horror fanatics, but at least it’s widely compensated with terrific storytelling and large doses of sadist humor, gimmicks and creative plot twists. Jalmari Helander occasionally even manages to create genuine suspense! When is the last time a movie about Santa Clause actually gave you shivers? 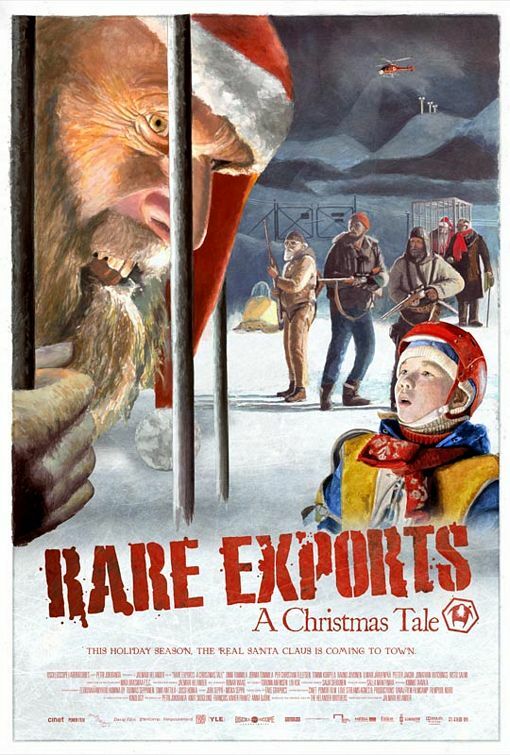 Another thing I really liked about ‘Rare Exports’ is that it somehow remains a traditional Christmas movie, in spite of all its unconventional trademarks. There’s the authentic northern setting for starters, of course, but the film also contains traditional Christmas movie characters and little details linked to the holiday, like stocking and fireplaces. 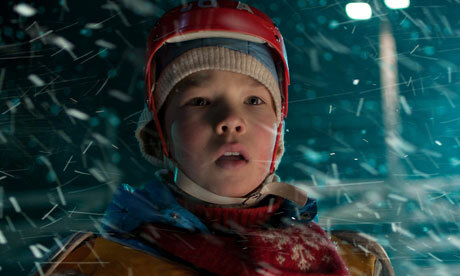 The lead star is a young boy who at first seems scared and annoying, but eventually turns out to be a real hero. Pietari is quite like Ralphie in ‘A Christmas Story’ or Kevin in ‘Home Alone’. Even more typical, almost clichéd in fact, is that he lives alone with his father and on the edge of poverty. But just because this is a traditional Christmas movie, chances are high there will a happy ending. Speaking of which, the climax is really amusing and vastly original. Highly recommended to all fans of bizarre films and people with an uncustomary sense of humor.